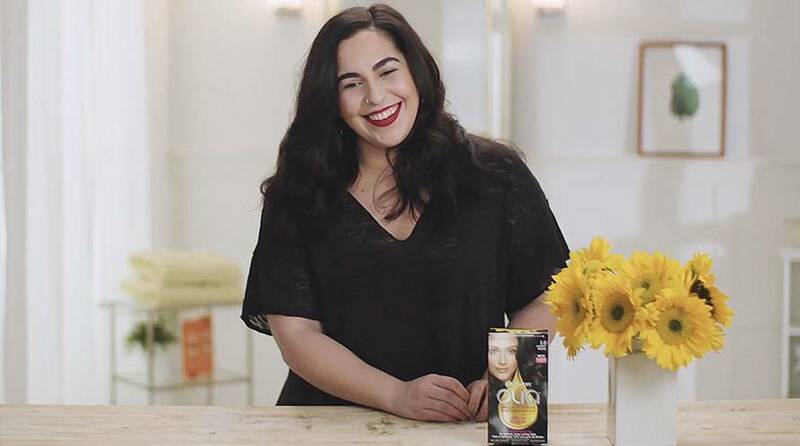 Garnier Olia shade 6 1/2.3, "Lightest Golden Brown," is a very light brown shade with brilliant golden tones. 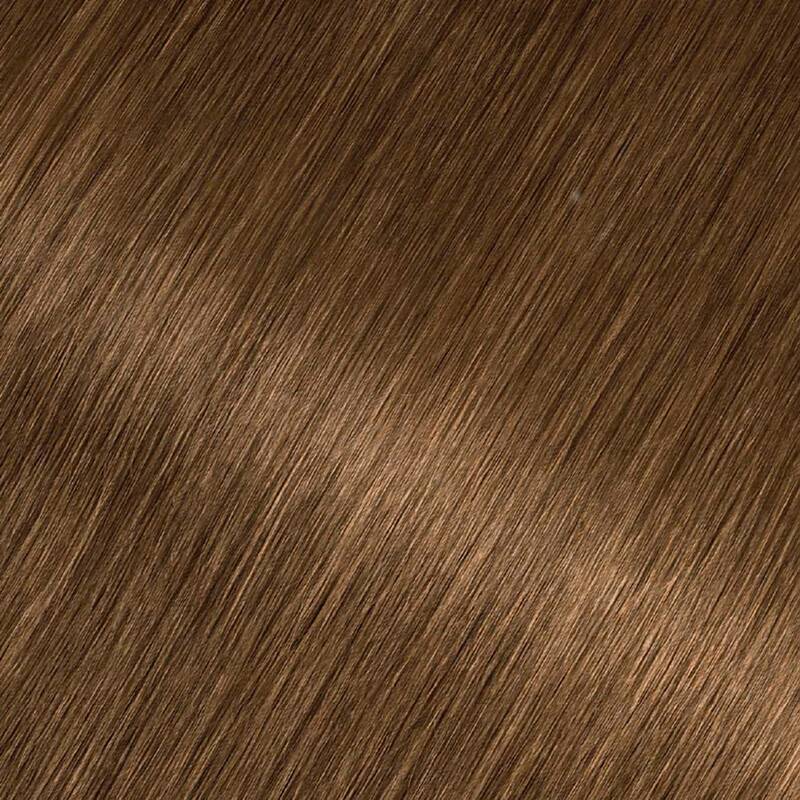 It is one step between shade 6.3, "Medium Golden Brown," and a dark blonde shade. Lightest Golden Brown provides 100% gray coverage and is best for anyone with natural hair between dark blonde and dark brown. If you would like a lighter color that reflects similarly, try shade 8.31, "Medium Golden Blonde." Alternatively, to go darker, try shade 5.3, "Medium Golden Brown." *For women with currently color treated hair, there are special considerations for the color result you can achieve. Because of this, we do not recommend shade 6 1/2.3 for hair that has been previously colored shade 4.0, "Dark Brown," or darker. For more help, use our Shade Selector Tool to find the perfect shade for you! 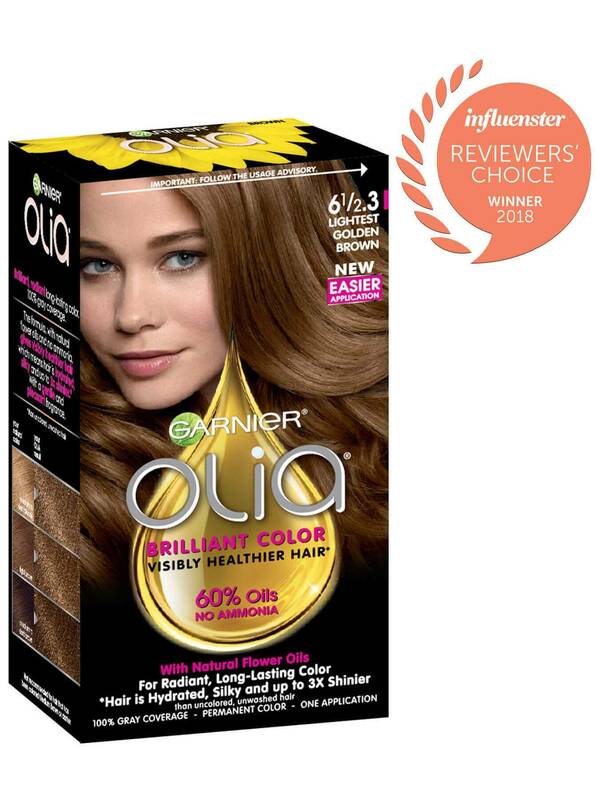 Rated 5 out of 5 by MJ57 from Great Looking Hair Color There is no drips or strong odor with applying Olia. I just love how the hair color turned out. It is so beautiful and natural looking hair color. Rated 1 out of 5 by susanlydia from Not a good surprise Have been using product for years..but something had to be wrong here..the dye seemed already colored before I mixed..(new formula?) and while I only added it to my roots..it seems to reach a good six inches..afterwards the gray wasn't covered and my hair was dull and greasy looking. Each day it's worse looking. I think something was wrong here. Very surprised as I normally like the the line. Rated 4 out of 5 by Sparklez2015 from Love this color I love this color, however it is hard to find in the stores. I get many compliments and it looks like I highlighted my hair even though I don't. I wish it covered the gray better and held longer. I can't use other hair dye as I am allergic to the peroxide in them. This one I have no allergic reactions to. Rated 3 out of 5 by Jillsue from Love this product but disappointed w/new formula I love this product, however, the new formula is too runny making it messy when coloring and causes some of the color to go in places past my roots. Rated 5 out of 5 by Mistermaisy1 from My Favorite Haircolor This is my favorite haircolor in over 20 years of coloring my hair. I get the exact tone and highlights I want, and am always pleased with the result!